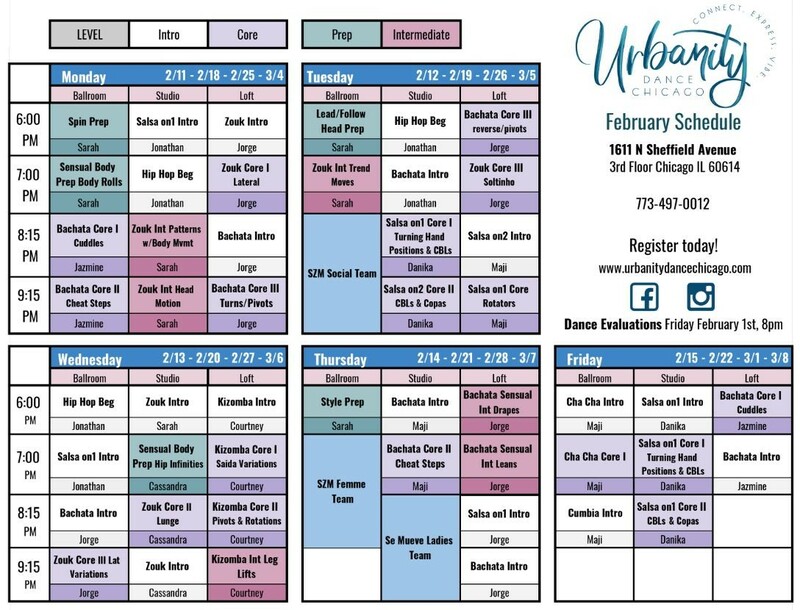 Join Urbanity Dance Chicago for their new 4-week dance session starting Monday, February 11. Classes include Salsa, Cha Cha, Bachata, Kizomba & Zouk; drop-in Hop Hop classes available all month; and more in-depth Technique classes. Looking for a fun way to celebrate Valentine’s Day? Check out their special Valentine’s Day packages. Urbanity Dance Chicago is a predominantly social dance studio focusing on the most trending sub styles of Salsa, Bachata, Kizomba & Zouk. They want students to “Connect. Express. Vibe.”: to CONNECT with their passion for dance & other people who share the same, to comfortably EXPRESS themselves through dance with ease & to VIBE out on amazing energy, music, & flow of movement every time they’re in the studio or at one of our events. Click here to view their full class schedule and register for classes.